This elegantly simple wall mount antique copper mailbox is constructed of solid 16 ounce copper .This is real dark oxidised patina copper. 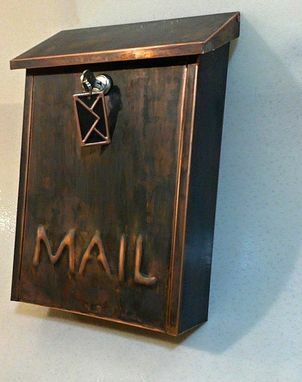 The dark oxide patina is similar to the natural oxidation that appears on natural copper after a period of exposure to the outdoors. This surface finishing obtained using both thermal and chemical treatments proves to be hard enough to reduce the formation of scoring or surface defects that may form during working, shipping or laying. 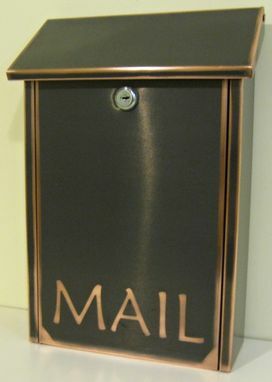 The lock cam comes with 2 keys.The incoming mail slot is 1" Tall x 7.5" Wide and the large mail access door makes removing the mail a breeze.